This new installment also incorporates a renewed battle system, which along with the virtual reality environments, will offer us a unique immersion. Enter the gamer's room with the special VR mode to customize your room and spend time in one of the Neptunia series characters. Don't forget that this game is fully compatible with both modes, both with and without virtual reality, so those who don't have this type of hardware can also enjoy it. New strategies, new possibilities and ferocious attacks The turn-based battle system in this JRPG is more shocking and frenetic than ever! You'll be able to choose attack combos, make use of powerful special abilities with dazzling effects, and even position teammates to perform devastating team attacks. 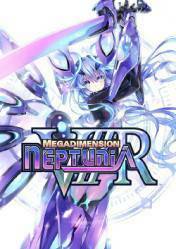 There are no comments yet about Megadimension Neptunia VIIR. You can be the first one!